Radiolarian. 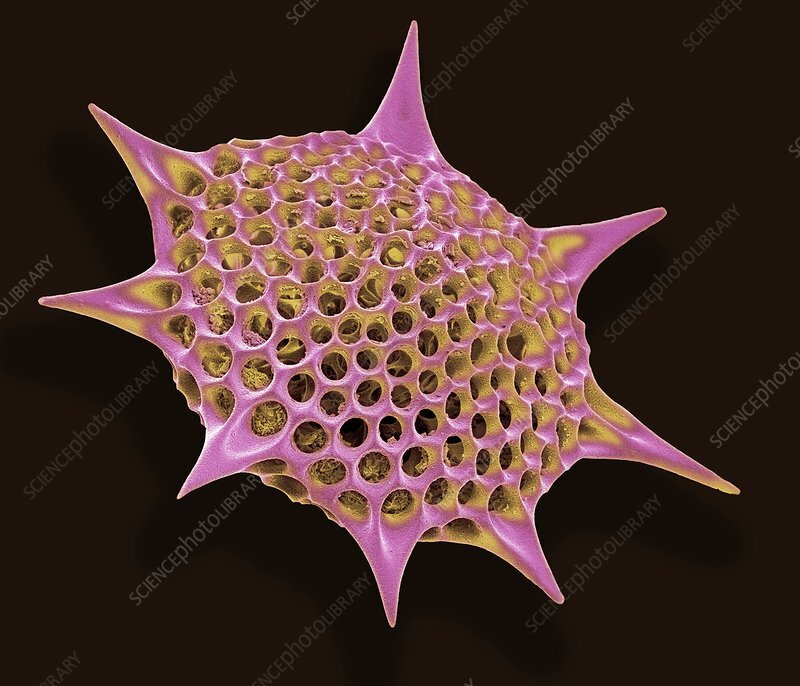 Coloured scanning electron micrograph (SEM) of the shell of a radiolarian. Radiolaria are single-celled protozoans that are found in marine plankton. Magnification: x400 at 10 centimetres wide.